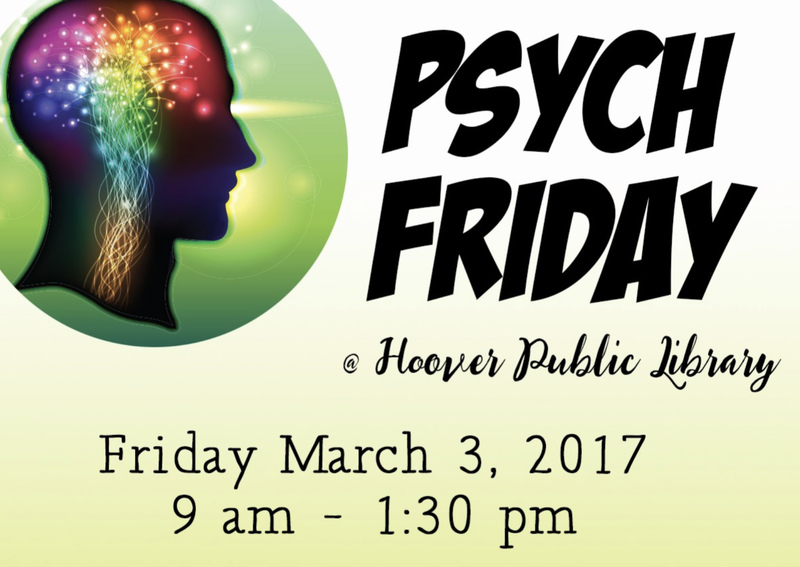 Samford University’s psychology department will host Psych Friday, a free public event, at Hoover Public Library, 9 a.m.–1:30 p.m., March 3. Supported by a grant from the American Psychological Association, Psych Friday is open to teachers, high school students and other interested audiences. The event will explore what psychologists have discovered about brain, mind and behavior, from basic research to therapeutic applications. Former Samford professor Nicole Siegfried, now clinical director of the Highlands Treatment Center, will present the keynote address on research and treatment of eating disorders. Students from the Altamont School, and Samford psychology professors Jack Berry and Amanda Howard will join Chew and Siegfried in leading sessions. Call 205-444-7840 for event details.